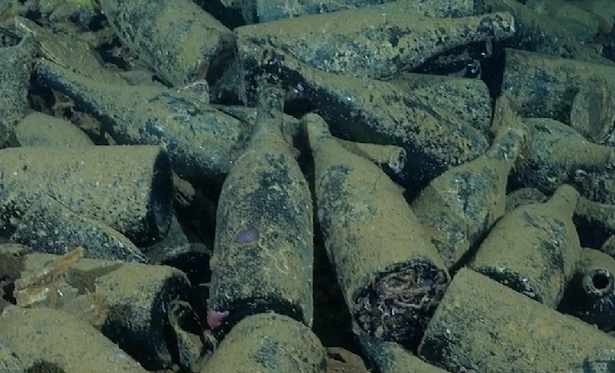 An unusual underwater expedition is being planned off the Cornish coast, to send a submarine 100 metres below the ocean to retrieve rare bottles of 100-year-old wine and champagne sitting on the seabed for a century. During the First World War a boat laden with alcohol, travelling between England and Bordeaux, was shot down on its journey, by a German U boat. Sinking to the bottom of the sea, the ship and its cargo have laid undisturbed since 1918. Now experts want to salvage the historical artefacts in what they believe will be "one of the most significant historical discoveries of the century", and they're allowing a member of the public to go along on the voyage. Through a partnership between Cookson Adventures, maritime experts 10994 and dive and survey expert Nigel Hodge, from Cornish Fishing, the wreck has now been located, sitting in the English Channel, just off the coast of Cornwall.